"A gentle way with back pain." 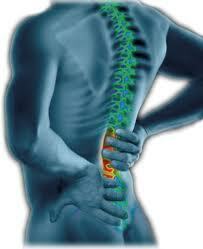 McTimoney Chiropractors can help with musculo skeletal problems such as low back and neck pain. Liam believes that if McTimoney chiropractic is the right treatment choice for you, then you should feel significant benefits by your third visit. "If you don't see a major improvement after your third treatment then there is probably no point continuing."